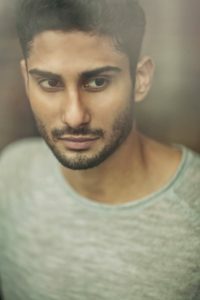 From thrilling the audience in the web series Shockers to proving his acting mettle in his recent play titled ‘6’, Prateik Babbar has a number of projects in his kitty. Prateik has now been appointed as the goodwill ambassador of Maldives. He will leave for Maldives today on August 3rd, 2016. “Prateik’s energy on screen is what we are looking at capturing off screen too, we want him to not only bring a broader connect to this beautiful nation but also bring out the fact that Maldives is very accessible and can be affordable too” , says Mr. Shalin Tandon, Honorary Consul, Republic of Maldives MUMBAI. Apart from exploring the beauty of this paradise land, the actor will be seen indulging in a number of adventures sports like Scuba Diving and kite surfing. We can’t wait to see Prateik’s pictures from his trip. Here’s wishing Prateik all the best on this endeavour! 16 queries in 0.689 seconds.